We’re offering a promotion with our sister website Maker6 for 3D printing services. 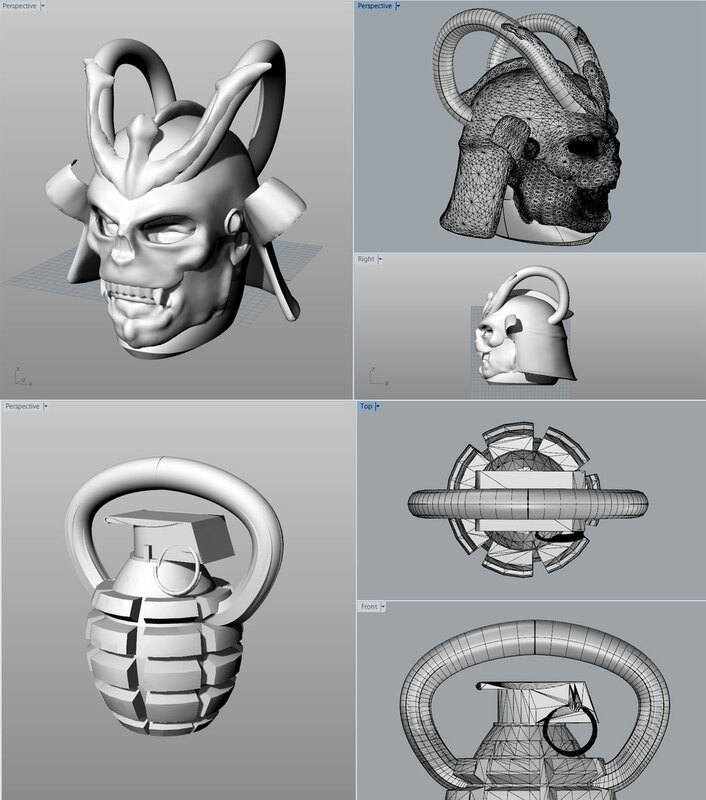 We’ll convert any 3D model to a 3D printer compatible STL free of charge until the end of October. If you’re looking to create a 3D printing model from a sketch or 2D blueprint, we’re happy to provide a free quote. Send us send us a description of your project along with any supporting files and we’ll get started. 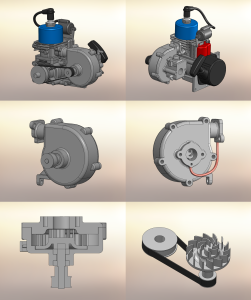 If you are developing a concept, need assistance with mechanical drawings or just need help in converting 3D-formatted manufacturing drawings to 2D; Eng-Source can help out. Click here to get a free quote from our engineering team. Our mechanical engineers have a broad range of experience in all types of 2D detailing, drawings, drafting, and design services. Outsourcing your drafting services to us has a number of unmatched benefits. First, you can lower the cost by up to 60% for drafting, design, and engineering work. Just imagine the money your company can save by outsourcing to us, money that can further expand your profits or benefit your other projects. Second, our services are fast and reliable. Our experience, expertise, and great understanding of product design and manufacturing will make us deliver what exactly you want, when you want it. And third, we assure you that a team of global expert workers with backgrounds of serving satisfied clients worldwide will handle the work for you, providing you with excellent quality of results. Affordable, fast, and quality service. These are Eng-Source’s edges over our competitors and exactly the reasons why you need to go to us when it comes to drafting and design services. Eng-Source offers three service options for meeting your drafting, design and engineering needs within your business. Choose what best fits your company’s needs, and then we can start the ball rolling. Assignment-based or project-based solutions are discussed on a project value-basis and also for specific projects with a well defined scope. With the time-allocated solutions, you can buy equivalent blocks of engineering time ranging from as little as 40 hours to 1/4 person or multiple full time staff. You will be given one year to utilize your purchased time which can be applied to any of the Eng-Source professionals with the specialty altered as required. The fastest and extremely cost-effective option. For small assignment or project specific solutions, we offer CAD Crowd a self-managed system that will let you state what you want to pay for your project and will allow a pool thousands of professionals to furnish proposals. We want to share with you our remarkable track record, broad range of expertise, and efficient client-specific assistance when it comes to mechanical 2D drafting and design services. Let us aid you jumpstart your projects and help your business through our competent drawings and drafts and our flexible client-based solutions. You can check our exceptional team of experts’ portfolio and let it speak for our service. And contact us at 1-877-880-8850 or fill out this form to get a free quote for your 2D drafting design service. Custom millwork services are one of the specializations of ENG-Source. Over the years, clients who come to us to get this particular service are left truly satisfied with the quality of work that we delivered. If you need illustrations or detailed CAD drawings for custom millwork design, we can easily provide you with that. For more information please see our architectural drafting & design portfolio and contact us to get a free quote on your project. AutoCAD Drawings: AutoCAD drawings for custom millwork design are often approved by the architect of the construction project. Here at ENG-Source, we can create 2D AutoCAD plans, details, sections and elevations for whichever type of building it is that you are constructing. In-House Placement: For clients who require 3D support, the multitude of software that we use for customised millwork can help you decide on the right placement. Parametric Products: Some customized millwork projects require a parametric view of millwork products like trimmings, moldings and other parts of a home or commercial building construction. Our team of highly skilled AutoCAD drafters and designers can crate these parametric library items for you, based on the range of product variables that you will provide us with. Store Fixtures: If you’re renting space in a commercial complex with an individual store booth, you can take advantage of our customized millwork service. We can create 3D isometric reports for you along with exploded views, sections, elevations, and detailed drawings of customer service desks, cash registers, checkout counters, etc. Other Millwork Drafting & Shop Drawing Services: ENG-Source also offer detail-oriented, excellently finished custom millwork drafting services for installation projects, design build projects, cabinetry design, casework design and carpentry projects. Our company is based in Alberta, Canada and we employ a team of knowledgeable, high-skilled and artistic designers and CAD experts who can finish almost any kind of custom millwork for you. Instead of paying a high price for CAD outsourcing services, you can simply take your pick from any of the professional services that we offer here at ENG-Source – all priced reasonably. Just because you expect to get professional results for the kind of work that you do does not mean that you have to pay an arm and a leg for it. Here at ENG-Source, we put a low price tag for the custom millwork services that we provide – but without having to compromise on the quality of results produced. ENG-Source offers building envelope drafting, detailing and shop drawing services from our expert architects, civil engineers, designers and drafters who are part of our 1,500+ contractor team. We provide on-demand services to help companies like yours with drafting the shop drawings you need for your next building envelope project. View our architectural drafting and design services portfolio for samples of our latest work and contact us to get a quote on your latest project. In the design, we also take into account systems like below grade construction, exterior walls, roofs, atria and fenestration which includes the windows and metal or glass curtain walls. To make sure that the building complies with industry standards and local building codes, we make sure that the designer of the building envelope is very knowledgeable with such locals laws and standards. ENG-Source is a company based in Calgary and aside from building envelope design, we also provide professional 2D drafting, 3D modelling, 3D rendering, custom Millwork and shop drawing services. Our team of designers are extremely adept at using popular CAD or computer-aided design software like AutoCAD, Microstation, CATIA, SolidWorks and Revit. What makes the services that we offer stand out is the fact that we employ a team of experts to handle a particular project. If you want us to finish 3D-rendered images for a building, we can do that for you. If you would like us to create a building envelope design for a construction project, we can do that as well. Instead of charging premium rates for our professional services, we will only bill you with very reasonable fees so that the quality of work will not be compromised. The end result is something that you will be proud to show off to your boss or a client who you are working for. With ENG-Source’s building envelope design and other services, you will get the best value for your money while enjoying desirable results for your project as well. Why Eng-Source? Eng-Source can help you increase your company’s engineering horsepower with our global network of expert contractors. Our expertise includes CAD design and drafting but we also have the ability to finish projects for 3D modelling, photorealistic 3D rendering, building envelope design, floor plans, customized millwork and shop drawings services. What makes Eng-Source stand out is the fact that we have a deep pool of expert engineers, designers and drafters can help with your project from start to finish. Our network of experts have licenses for all mainstream CAD software like AutoCAD, SolidWorks and CATIA. No matter no matter the project, our group of engineering, drafting or design contractors can help with your project.